Another year has past and we would like to celebrate Bi Pride Day and International Celebrate Bisexuality Day. On September 23rd you can use the hashtag #BiPride to help people find other bi events and resources. There are always misconceptions around the word bisexual and I would like to help clear some things up! People accepts that it is definitely possible for a person to be attracted to a people of more than one race, hair colour, height or weight. For bisexuals that openness also includes gender. Bisexuality is not about all or about any and they are not greedy. Bisexuals just have a wide range of desire or attraction. That doesn’t mean they are attracted to all men or all women. The gay and lesbian scene is full of bisexuals. It’s a place where us bisexuals can come and be ourselves. Bisexual are very misunderstood mainly on the fact that some of the straight community (non allies excluded) do not understand. It’s like when Miley Cyrus came out as Pansexual last week. When I drove to work the next day I was listening to the radio and all of the radio show hosts who where talking about her sexuality and they did not know what Pansexual meant. They had to go look it up and were still confused, and they had some pretty ignorant and uneducated responses. Yes, it is frustrating. When someone doesn’t understand something they can have uneducated opinions that may offend you. You can try and explain it to them, but just remember you never have to explain yourself. It can become a long and frustrating conversation. Trust me, I have been there! If the person is open to learning more talk to them and offer advice / resources online where they can do some research. Ultimately the word bisexual is different to everybody. One person can identify as bisexual and be attracted to men and women and another could be attracted to transgender and men. Have an amazing day and Happy Bisexuality Day! 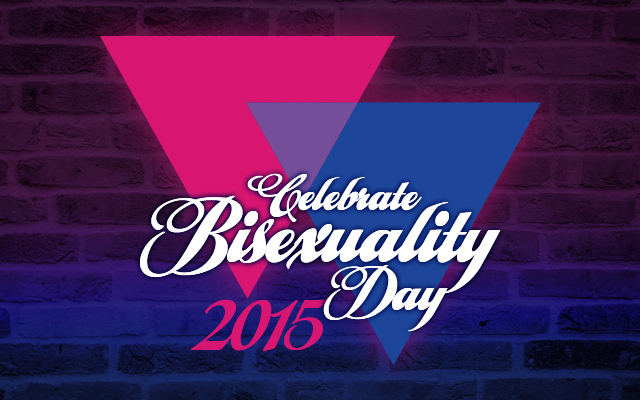 This entry was posted in Equal Rights and tagged 2015, Celebrate Bisexuality Day by Janey Grace. Bookmark the permalink.